The ten days of repentence are a good time to kind of assess your life. At least that’s what I’ve been telling my Hebrew school students. You’re supposed to review your ethical and moral failings and examine how the direction of your life from this point forward will be affected by how you’ve assessed your body, soul and spirit. Another term is cheshbon-ha-nefesh, a personal check up. The past few years have been interesting to say the least…I hate resorting to that cliche but I don’t always know how to articulate the push and pull I feel in doing what I do. One of the issues I’ve had with blogging is that I am an articulation perfectionist….I know you can’t tell that—but I like saying things specifically the way my mind envisions saying them. I grew up hearing from my mother–and she still tells me to this day–“Say what you mean and mean what you say.” So to keep the words flowing and the ideas percolating (I love that word and my friends know why…), I post to honor the fact that I am getting views and readership and some well meaning people care about what I have to say. In reading other blogs–(and I tend to shy away from food blogs—even though they are beautiful and powerful and inspirational—but largely I don’t like the place of food versus persona—-)I tend to see a narrative. So one of the things that brings me sturm und drang is defining the narrative. I’m finding out through this blog something that is a recurring difficulty/question in my life an my identity–finding the right “place.” In Hebrew, the word for place, “makom,” is also a nickname/pseudonym for the Divine Presence. Where you are located matters. I’m sure people come here looking for food as idol–food as a source of technique, for the manipulation of quality ingredients into flavorful, memorable and unique creations. A few years ago on my old website a man wrote me to say ask “Where’s the food?” The history was all well and good in his opinion but what he really wanted was that sort of interplay between cook and food, between the eater and that which is consumed. Cooking is very intuitive, organic, and simple for me–I liken myself to Jamie Oliver when he does one of his cooking on the road or the farm shows–and everything is rough chopped, slid into this or that and the forgiving nature of savory cooking comes in to save the day. There is still technique and appreciation for great ingredients, but what the food means and who its for and why its there and how it got there is just as exciting to me if not more. 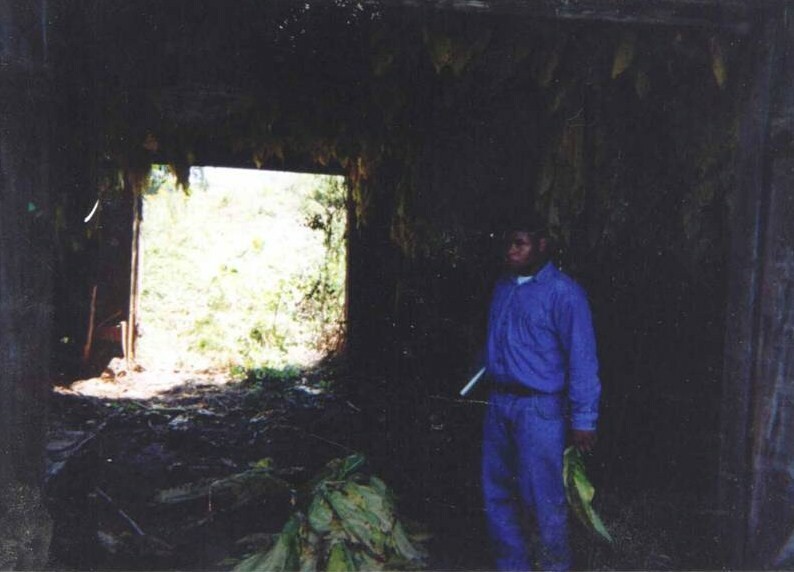 I was 18 and this is the first time I saw my family’s 100 year old tobacco barn–and it was filled with fire-cure tobacco fresh from the August harvest. Note my ever-present notebook that Daddy gave me. I can cook step by step…and I will try to do that more often for you…and I can photo-document that process. I’m so scatterbrained! I love growing stuff, but not enough to spend all of my time there…so I don’t know if I could produce a garden for others–I’m that crazy and selfish in that regard LOL! I love to cook, and I love to cook for maybe 3-20 people. Then I lose it! I love writing culinary history but sometimes I drown in academese. So I need to work on being balanced and giving my readers and audiences a more varied experience that has flow and the narrative I want to portray. Ultimately honoring the ancestors and passing on their culinary wisdom and legacy to the future generations is my goal. I look at myself in the mirror and I see somebody in their sophomore year of learning the art of culinary representation. There are thousands of niches in the food world–the guy tossing a special type of noodle in a constantly fired wok in Hong Kong that I saw on Andrew Zimmern’s Bizarre Foods; the strong Brotha I saw moving hundred pound batches of shaved ribeye in Philadelphia and cooking it up; there are celebrity chefs, there are local celebrity chefs who are defining and redefining food, there are culinary luminaries that are changing how food feels and looks–the Ferran Adrias and Jose Andres and Heston Blumenthals; there are the the fishermen and fisherwomen, the cupcake bakers, and the people I’ve grown to admire and had the pleasure of working with or being in the company of–the Andrew Smiths, Ken Albalas, Jessica Harris, Psyche Williams-Forson, William Woys Weaver, Tom Burford, Ira Wallace, Barbara Melera, Joan Nathan, Don Bixby, Sandor Katz and so on and so on…food writers, culinary historians, cookbook authors, heritage breed animal specialists, heirloom vegetable and fruit experts, master garderers, seed company owners…And then I see Ian Knauer and Francis Lam and I’m salivating saying wow…I’d love to comment on food and food history on a show–and I see the Top Chefs and Master Chefs and Chopped Chefs and say hell no–I can’t make anything in 45 minutes or less LOL—Where the hell do I fit in? 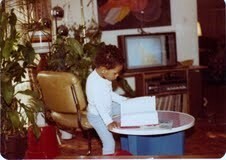 Yes it was 1980…I miss that lamp; my Fisher-Price table and toy kitchen and the Webster’s Collegiate Dictionary…I was three. If nothing else I’m peering through the Looking Glass seeing this little boy who loved to garden with his grandmother in a big, beautiful backyard, two blocks from Rock Creek Park in Washington, D.C. I remember silvery bowls full of honeysuckle flowers–I remember I loved the yellow ones best–and the three second ethereal saccharine thrill they seemed to give me. Barbecuing always thrilled me–that was my one manly desire–to roast meat. I was convinced I was going to go hunting with my father so he bought be a beautiful bow that I played around with for two years but never killed a thing with. I was around for all of the rituals that came down from Alabama, Virginia, South Carolina, Georgia, Tennessee, and North Carolina–the washing and cutting of collards, the proper cooking of rice, the frying of chicken and the slapping of dough into rolls. More than that–I was around for the foods of “others” that my family reproduced at table–Sri Lankan curries, Jamaican and Haitian and Puerto Rican delicacies, Jewish challahs and babkas, Italian marinaras and homemade Chinese thanks to Jim Lee–a cookbook I loved to read with its jade green illustrations –and still cook from to this day. I have always been captivated–for lack of a better term–by slavery and the world of slavery–especially in what we have come to call “The Plantation South.” I really do believe that that world has affected African American food and eating habits the same way that other aspects of racial chattel slavery in American history have affected both African American life and the culture of Americans in general. When I see shows I love like Cooking Channel’s “Foodography” have specials about sugar and its history; but don’t talk about the relationship between sugar and slavery–I have to wonder if we are really in that mental space where the kind of knowledge I want to preserve and pass on doesn’t matter anymore. Clearly it does. 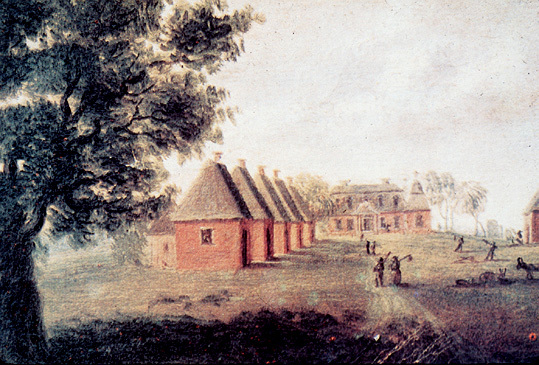 I believe there is a link from West and Central Africa to the foods and culture and style of eating that Africans brought to the Americas–and that its a cultural miracle that all of these enslaved, oppressed men and women were able to revolutionize the world through food in a way that no other enslaved population has in history. Some writers want to follow Julia Child across the year; others want to live Biblically or experience Biblical womanhood. Some go without eating out. There is a mushroom field of projects that are tidily grown, harvested, cooked up and served in a year. I don’t know if I’m joining that movement–yet or ever. I know that I have a goal–and that its a fairly niche goal. I want to be the sum total of skills and knowledge and art that the ancestors were in the past. I want to do justice to my subject matter. I want the voraciously broad sympathy and curiosity for learning to show through in what I do. It’s not just about food. Let me be bold here…If you don’t know what its like to pick, plow, chop, weed, thin….you don’t know African American foodways. If you don’t peel back the layers and look at the science and the spirit of the art; its not a real discipline. This is a rich subject with so many layers and delicacies, we have to treat it with respect. So many people avoid the first few hundred years of our culinary history in any detail because its scary, depressing, mysterious and uncomfortable. For those reasons and the fact we were geniuses, survivors, master artists, I love this subject and art. I believe there is a semi-indigenous approach to the nature and landscapes of North America that we Africans in America have become detached from–its a hybrid path but its our path–its home, exile and return–all at once. So much of what makes this country rich in art and all manners of spiritual life is the contributions that we as African Americans have made. We cannot allow others to have authority over our cultural and spiritual products. We reject, without reservation, any attempts by anyone to rewrite our history so to deny us the rewards of our spiritual labors, and to become the culture custodians of our art, our literature and our lives. To give expression to the spirit that has been shaped and fashioned by our history is of necessity to give voice and vent to the history itself.–A.W. 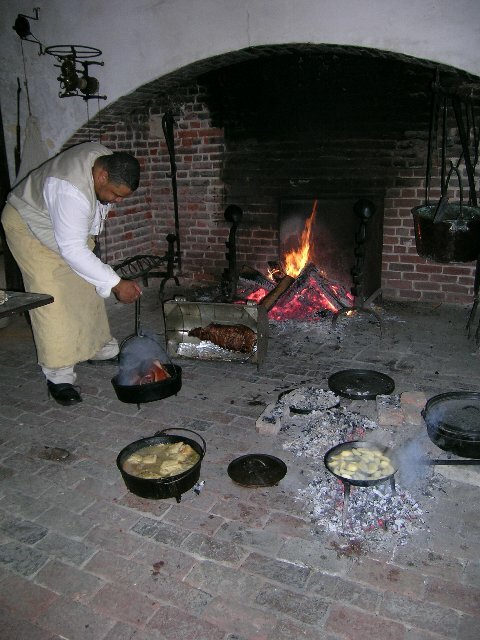 Why can’t I be the best colonial and antebellum Black chef since the close of the Civil War, almost 150 years ago? 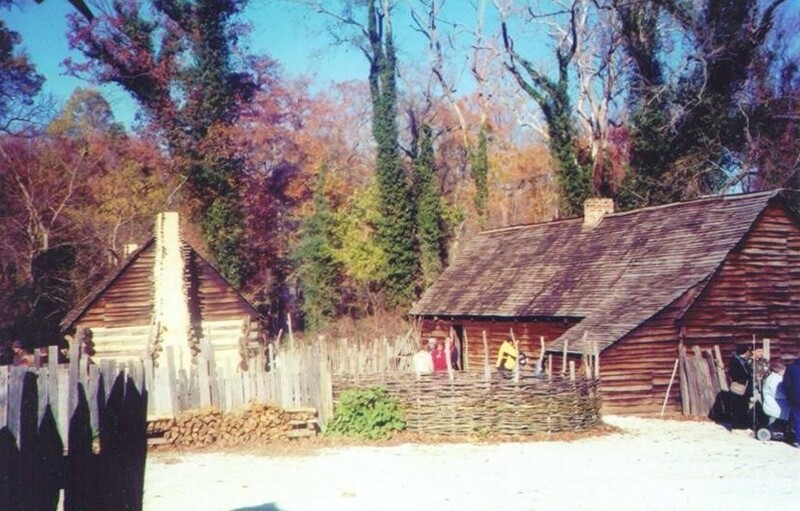 Why can’t I be a willing and able inheritor of fishing, hunting, gathering, foraging, gardening, growing, cooking, baking, barbecuing, and mastering recipes? Why can’t I meld traditional African, African American, African Diaspora foodways and find the common elements? No, it’s not a hobby–and I don’t want anyone to treat this work that way–I am no more into this as a hobby as people who take on food writing or butchering or baking are doing a hobby as they go about supporting themselves and making a life and a world for themselves. So maybe I do know my makom..and maybe its speaking for those who cannot speak for themselves and giving inspiration to those who need a song to sing. I stand myself and my art squarely on the self-defining ground of the slave quarters, and find the ground to be hallowed and made fertile by the blood and bones of the men and woman who can be described as warriors on the cultural battlefield that affirmed their self-worth. As there is no idea that cannot be contained by black life, these men and women found themselves to be sufficient and secure in their art and their instruction. Amen. Time to grow. I need to be a better cook, have better skills, know more ingredients, know more science, know more history, know more–period–who wants to help?